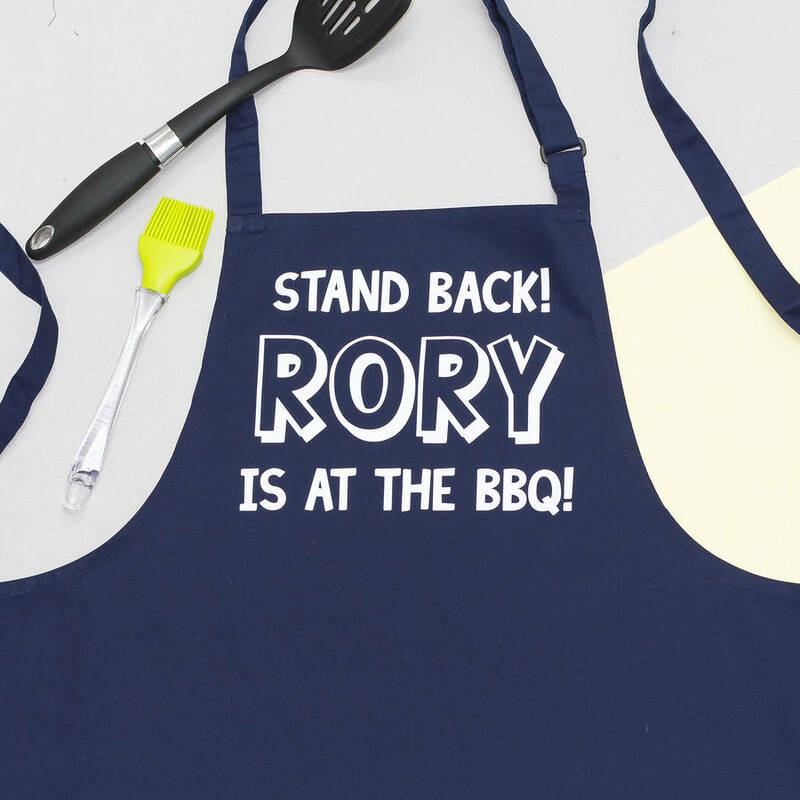 A personalised apron ideal for hazy summer evenings cooking up a storm on the BBQ. Available in a combination of colours. 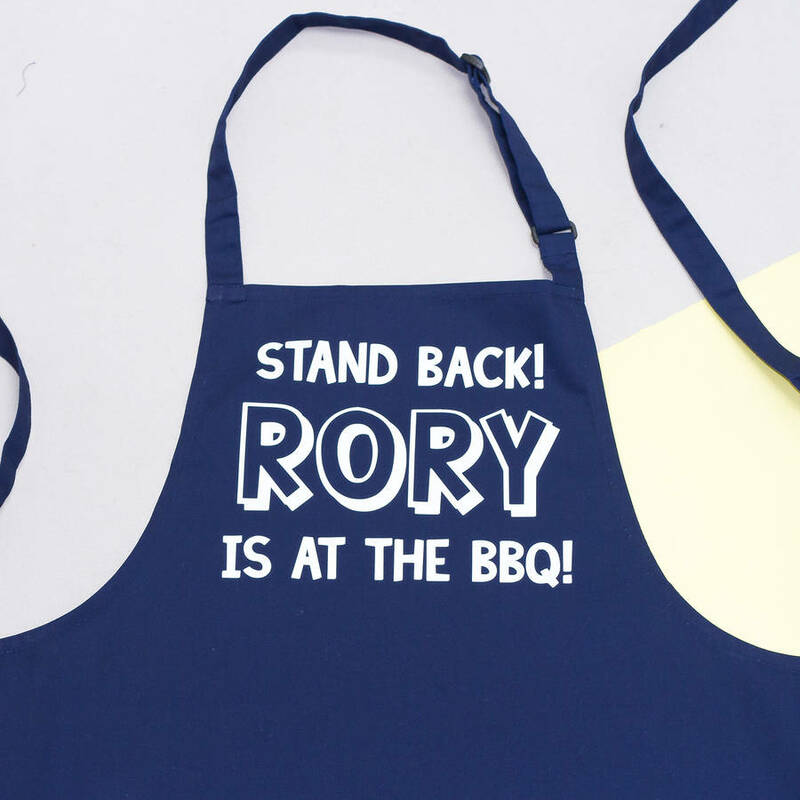 This humorous durable apron makes an ideal gift for a BBQ king or Queen. Do you know someone who is particularly protective over the BBQ once it gets lit?! 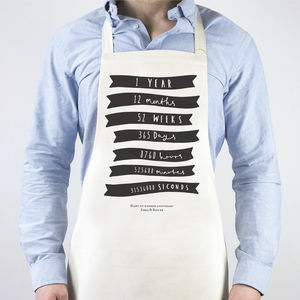 This would make an ideal birthday gift for those BBQ chefs. 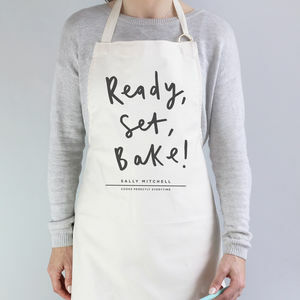 Variations: The diversity of colour combinations makes this apron an ideal gift for men or women, and, as the printing is done by hand in-house it will be posted first class the same day if ordered before 12pm. If you have any questions please send a message via the 'ask seller a question' at the top of the product details. 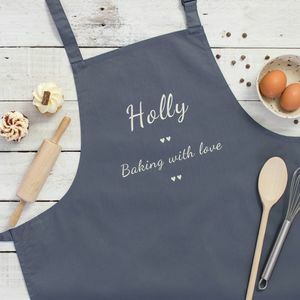 These personalised BBQ aprons have a sliding buckle on the self fabric neck loops to make them an ideal fit whatever the size of the person. 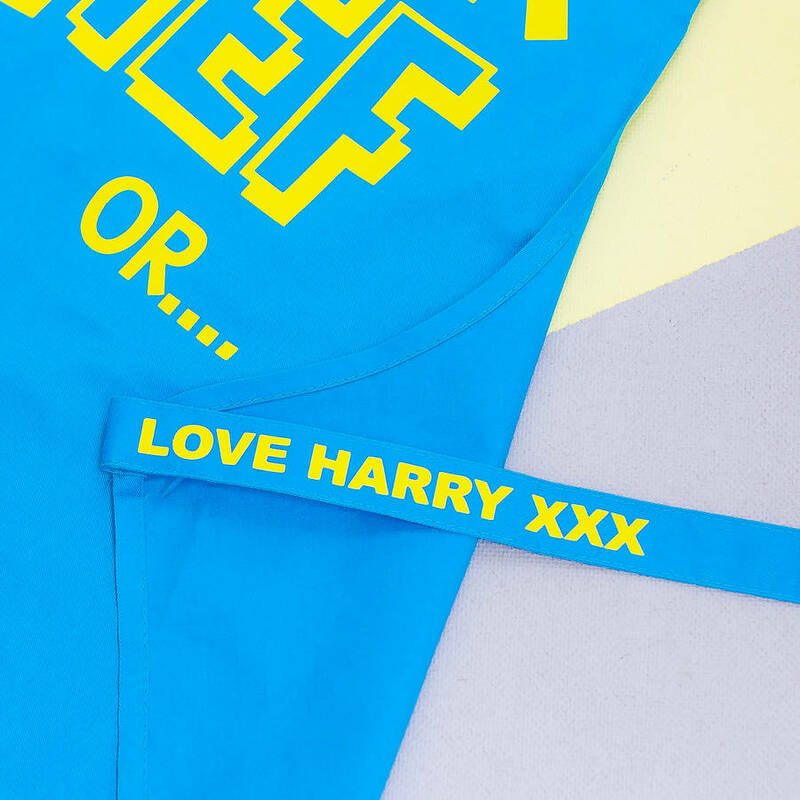 The apron ties are 90cm in length and you can also opt to have a short messge printed here too - please see the product pictures above and follow the drop down menus to the right to select this option. 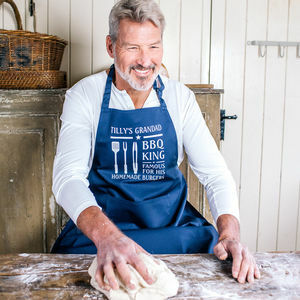 Squiffy Print reccommends a 30 degree domestic wash and iron on the reverse of the print to keep the BBQ apron in fabulous condition year after year. This product is dispatched to you by Squiffy Print.